We offer affordable tent packages, tables, chairs, concessions, and bouncers to residential, schools, and business clients alike. We're preferred vendors on Belle Isle Parks and permitted to service our customers on any other state park (Additional Fees may apply). 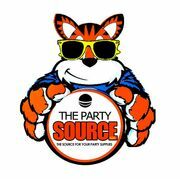 Rate and review The Party Source LLC in Southfield, MI, United States! Share your experiences at The Party Source LLC with your friends or discover more Local Services in Southfield, MI, United States. Gordon Lang Septic Systems Inc.